Inventor, magician, athlete, world-renowned manufacturer, builder and sportsman, Gilbert was best known for the American Flyer 1:64 scale train sets and the famous Erector sets. 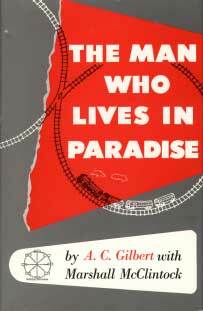 A.C. Gilbert's autobiography reveals a warmhearted, friendly man with a sense of humor. Above all, it gives the reader a share of the excitement and the enjoyment A.C. Gilbert found in his life. Hardbound, 5 1/2x 8", 388 pages.